This belgian style pale ale has has been dubbed “Pitchfork Ale” after it’s iconic red pitchfork handle which mimics the logo of Purgatory Golf Club. Water is an essential ingredient and the secret behind the taste of many craft beers. Centuries ago, current technology used to purify water was not around, therefore people built local breweries specifically around good water supplies. Though today we have limits and laws put in place to supply clean water, every water supply still varies in pH and mineral content. Therefore, a town’s local water supply can greatly affect the taste of the beers being brewed. 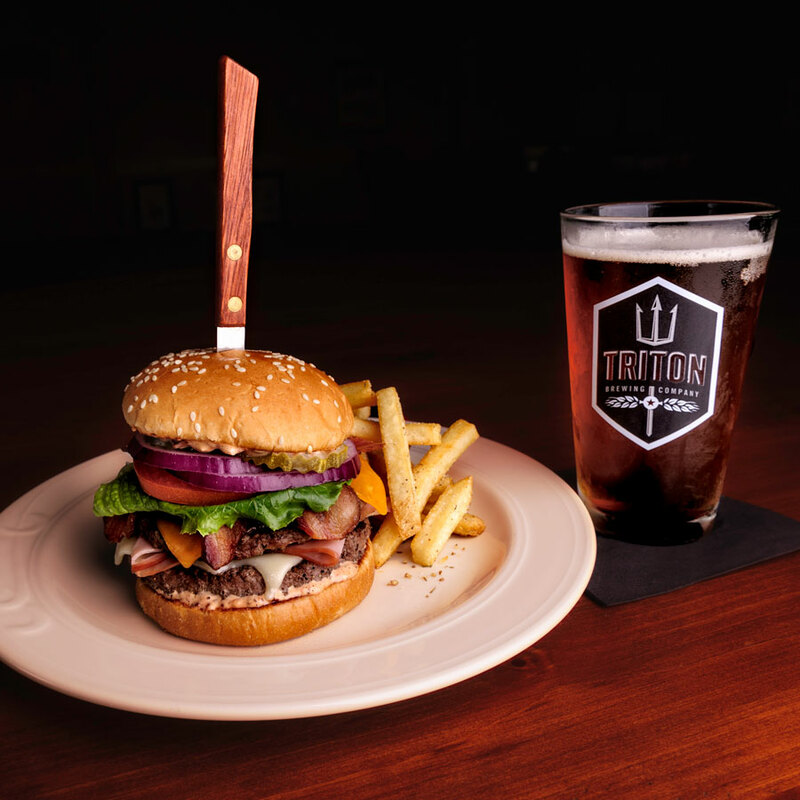 Triton Brewing Company, a local microbrewery near Fort Benjamin Harrison, uses an expensive reverse osmosis filtration system that allows water to be stripped down to its core: two hydrogen molecules and one oxygen molecule. From there, they start with perfectly neutral water and build recipes to create their unique beers, such as their year round “Sin Bin” belgian style ale. With a name like “Sin Bin”, it is no wonder this is the signature beer of Purgatory Golf Course. In religious mythology, one is sent to “Purgatory” to pay for earthly sins. After some time of repentance, one may finally gain entry to heaven. Alternatively, “Sin Bin” is a hockey term for the penalty box, where players seek forgiveness for unjust deeds on the ice. Enough time spent here and a player may re-enter the ice to continue playing. With special permission from Triton Brewing Company, the tap handle has been painted red and renamed “Pitchfork Ale” to mimic the logo of Purgatory Golf Club. One can indulge in this local brew in a cold,frosty glass in “The Confessional”, or take one to go for the course. With its specially filtrated water, along with its sweet, toasty malt overtones and a delicate hop finish, “Pitchfork Ale” is the perfect addition to the “Pitchfork burger” and remains a fan favorite amongst the Purgatory patrons.